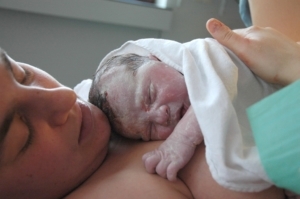 For many women, having a vaginal birth after a previous caesarean should be a possible and positive way to give birth to your baby. This is commonly known as Vaginal Birth After a Caesarean or VBAC. If you choose to try for a VBAC, there is no difference to any other vaginal birth other than when you go into labour you and your baby will be monitored closely to ensure any potential complications are picked up quickly. If you are considering a VBAC you will need to spend some time finding a hospital service and doctor or midwife who will support this choice as not all services and care providers offer VBAC. Some hospitals will offer birth classes specific to VBAC to provide you with all the relevant information. For more information about VBAC and the advantages and possible disadvantages it is best to speak with your doctor or maternity care provider.